Hi all. Now a days facebook live is a popular act. We usually use mobile phone to go live on fb. Those who want to go live with their computer, this post is for them. 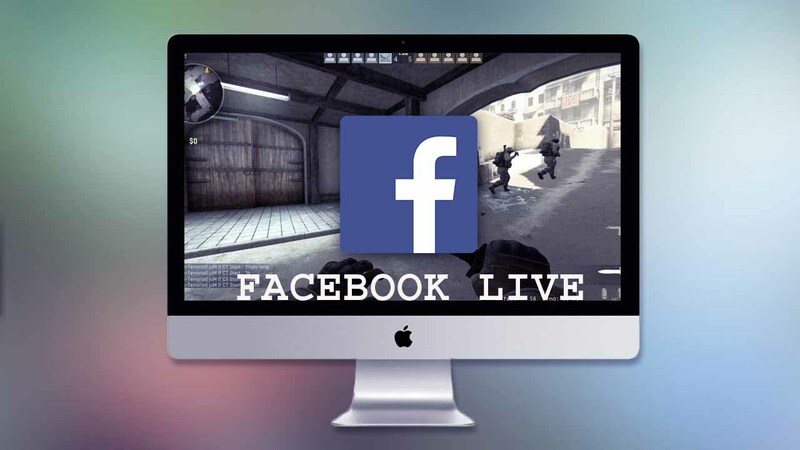 In this article, you’ll find how to communicate with fb live utilizing free software named obs. OBS is free software ordinarily utilized by live-streamers on the Internet. It permits you to specifically share applications on your desktop. To begin, visit the OBS site and download the most recent version of OBS Studio. Windows, Mac OS X, and Linux are all supported. After downloading obs, install it in your computer. Once installed, you have to set up the scene you need to appear on your Facebook Live stream. OBS gives you a chance to control the screens appeared, their sizes, the sound shared, and more. I will show you a demo scene set up. When you open OBS interestingly, another blank scene shows up onscreen. At the base of OBS, you see the primary instruments: Scenes, Sources, and Mixer. On the right, find the settings and broadcast tools. Now you have to add sources to your scene. For example, the sources will be a microphone, webcam, and browser window. 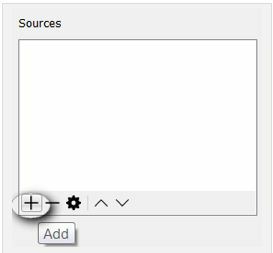 Click the + button in the Sources box to add a new source. Add the browser window. 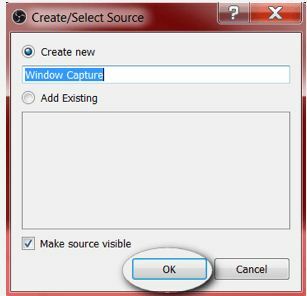 Click the + button and choose Window Capture. Now a pop-up box will open. example, just use the defaults and click OK.
Then obs asks you to pick the window you want to share. The best way, choose chrome.exe to display the browser. Now follow the same steps to add the webcam. 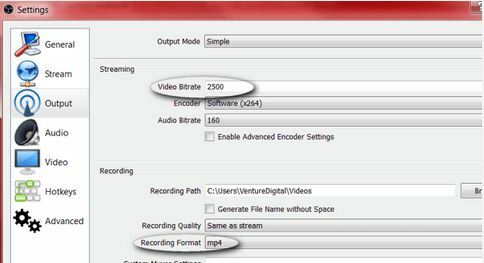 Click the + button and choose Video Capture Device. Choose your microphone from the drop-down menu and click OK.
Click the Settings button in the bottom right-hand corner. The first setting, the bit rate mus be at or below 2500. Set your Output Resolution and frames per second. OBS needs a stream key to connect to fb. To get the stream key, you’ll recuire to open a new live-stream session from your fb business page. Open your page, click on Publishing Tools, and then Videos. From here, you’ll see a Live button. After clicking the +Live button, A dialog box will be opened similar to the one below. Copy the stream key and go back to your OBS window. Do not close this Facebook window. Note: This code may be valid for 90 minutes only; you’ll require a new code every time you stream. 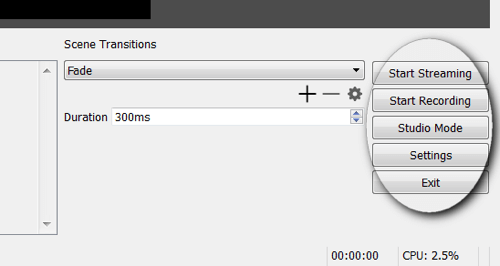 Now, in OBS, click Settings and click on the Stream options. 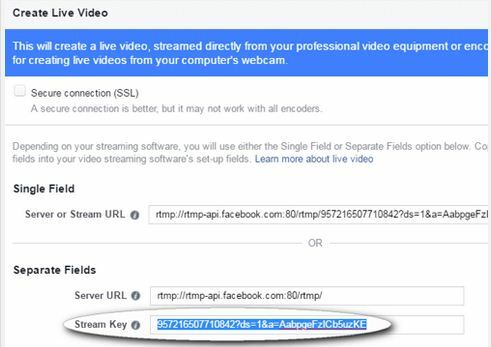 Choose Facebook Live from the Services drop-down list and paste the key in the Stream Key box. Click OK when it’s done. 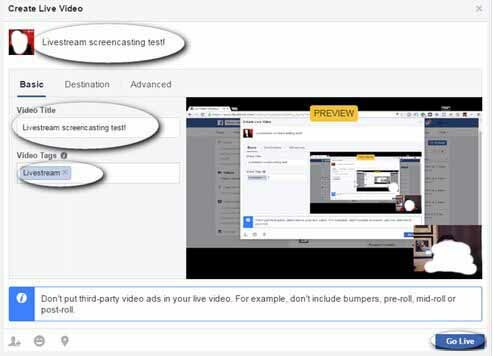 Before going live, you should preview your stream using the Facebook publishing tools you. Test the video and audio. Note: Don’t use speakers when screencasting. Plug in a set of headphones. When It’s ready, click the Start Streaming button in the bottom-right corner of OBS Studio. Go back to the Facebook publishing tools & click the Preview button. Then click the Go Live button to start the stream. Your publishing tools tab must be opened while you’re broadcasting. When you want to end your video, go back to this tab and click the End Live Video button. I think this is the esiest way to go on live from desktop. For more information, stay connected with us. Give your opinion in comment box.